Agyepong’s Photowork “Hiatus: Potential Realities” documents on the young Brighton and Hove communities concerns and hopes for Brexit. A series of constructed self portraits that are informed by interviews and facilitated workshops at the Jubilee Library, located on Jubilee Street. The University of Brighton will be hosting a handful of these exhibitions for the duration of the month. One of them will be Bill Brandt’s “The English at Home”. A photo book juxtaposing different levels of society in 1930s England. It is recognised as one of the first attempts to photograph a nation. The original book will be on display, alongside other reproductions. “June” is an autobiographical response to the June 2016 referendum. The european artist has been living and working in the UK and has explored the meanings of home, and that the plans for the future are now shook and in limbo with the UK government. In partnership with a french counterpart, the Cross Channel Photographic Mission analyzes the landscape and communities affected by the construction of the channel tunnel. 25 years on, the show will focus on work and archival material related to commissions made in french and include over 60 pieces. Using archival public information films about the Brotherhood Week Interfaith programme, unearthed by postwar American newsreels. “Third Person (plural): Prelude – Brotherhood” is a film project exploring the construction of supranational identities. It will be shown at the University of Brighton Galleries on Edward Street. At Jubilee Square, a single billboard will be posted and reposted with head and bare shoulder portraits of people who feel alienated within their own country. The work gives a voice to those who feel they are not being heard during Brexit. The reposting of images will take place as live performances throughout the festival. Lhuisset’s “L’Autre Rive” will use unfixed cyanotypes to tell stories of different generations who have migrated to Europe. Images will fade to blocks of blue – reflecting the sea and the colour of the European Union flag. Maddock traveled England for 20 years, building his egalitarian portrait of national identity. Brexit prompted Maddock to return to his long term project in an attempt to understand the countries current state. In an attempt to take back control, Sarkissian constructs and then destroys an architectural model of the apartment building in Damascus where her parents currently live. The work will be presented at 24 Dukes Lane as a two screen video installation. Weir puts on a showcase of photographs taken immediately before and during the destruction of the migrant refugee camp in Calais known as “The Jungle”. With 16 works in total, it underlines shared humanity by focusing on domestic and intimate details against a backdrop of displacement and uncertainty. The piece was originally published as a fundraising edition by loose joints. However, you can see “Homes” at Fabrica. Wylie is a Belfast based artist offering a literal examination of our national borders, and reveals both closeness and distance. 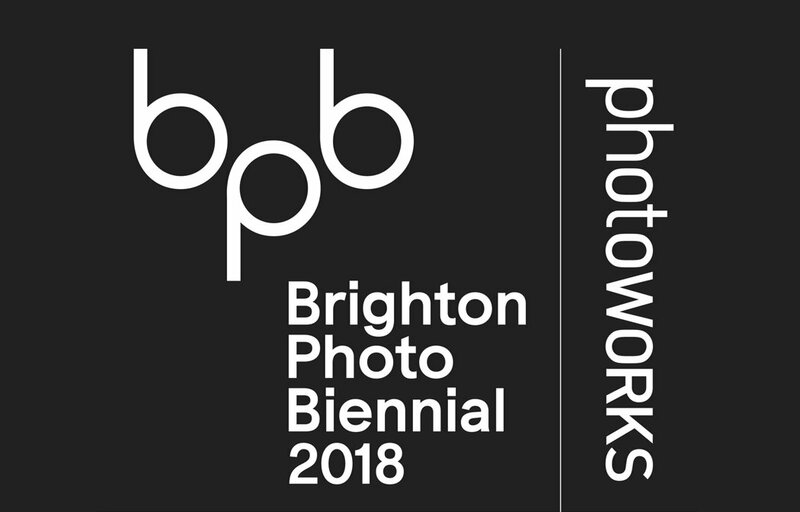 Here, for Brighton Photo Biennial 2018, a single large image is positioned by the channel. The clubs extensive learning and engagement programme offers different entry points to meet the needs of diverse audiences of children, young people, teachers, families and communities with activities structured to encourage making, talking and learning about photography. You can take part in the Photography Club and the University of Brighton at the Grande Parade. An opening evening reception will kick-start a weekend of talks to be enjoyed by art professionals, practitioners, and photographer lovers. Further events will run throughout the festival including activities for families and young people, plus bespoke tours for schools and colleges.